Modular office building systems from REM are made to answer your flexibility and adaptability concerns. We understand that businesses and individuals alike need to function in today's fast changing world. Especially important is to keep up with the demands, while staying loyal to yourself. This is the promise of our successful development, which started in 1995. We've been producing modular office building systems for sale and other prefabricated buildings with lots of recognition since then. Our client base is extensive and values our personal and feedback-oriented approach. We believe that we're only as good as our customers rate us. Many satisfied buyers of our modular office building systems prove that we're a unique blend of quality and cost-efficiency in the market. Our models for sale can be delivered in various sizes, from little types to bigger comprehensive systems. We remain flexible by making sure that our units can be assembled on site, and are modular for your scalability and ease of use. You can order an individual unit or several ones at the same time. This makes later upgrades easier, while we transport to distant locations might be difficult. All our units are build on steel structures, which are complemented by facade panels. Natural, energy-efficient materials are used for all our models, which come with in-built doors and windows for better predictability. All our units, including temporary modular office buildings, have in-built electricity units, which allow for easy installation and linking with other units. Like this you never have to worry about separate installations or experts on-site. Our models come with integrated and ready-to-use installations, and all that remains is to assemble them on site. The main advantage is the speed and efficiency of their construction, which is valued across our client base. Dismantling is also straightforward, and all materials used are recyclable after the end of their life-cycle. 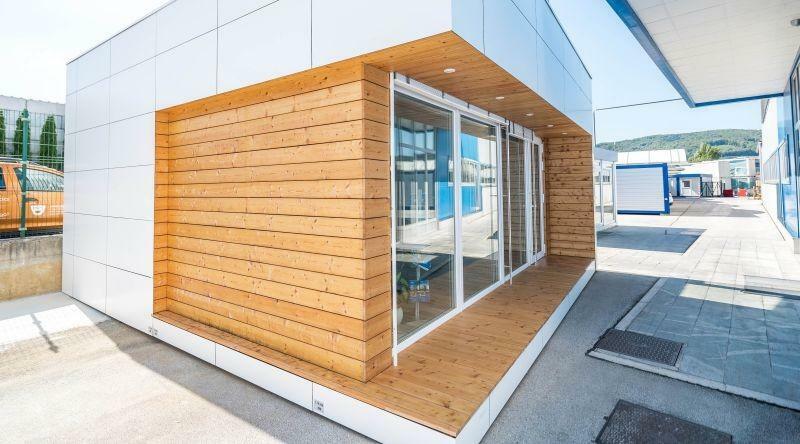 This means that the sustainability of REM modular office building systems meets the highest standards of consumer awareness. On our website you'll find the complete offer of our models, together with our other products, used for various speedy construction. 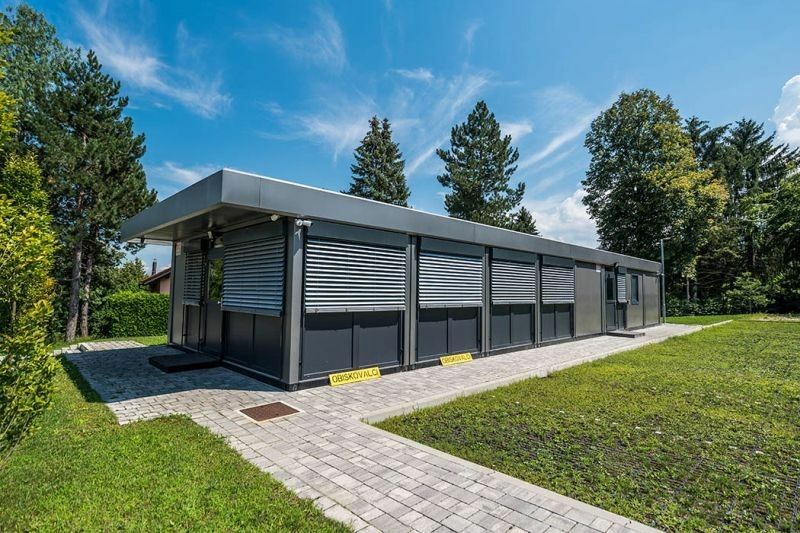 We've delivered units for different facilities, like kindergartens and schools, business and administrative facilities, shops and public facilities, small workshops and restaurants, as well as healthcare centres. Whether you're considering building a new site or expanding your existing construction we will deliver the optimal solution. Have a look at our website for a comprehensive picture and get in touch with us for a customized offer. We'll be happy to answer all your questions per telephone, email or in person, so contact us in the language of your choice. Our experience and knowledge vouch fort he quality that you receive when you opt for our products. We value long-term satisfaction and will make sure to deliver the answer you need.